I’ve been a busy elf. Not the cute kind with the ears and the pointy shoes, but the kind with dark circles under her eyes who knits after everyone else goes to sleep and occasionally skips real meals in favor of bourbon and cookies. But a happy one! I love this time of year and try to relax my standards for everything else instead of aspiring to holiday and household perfection. 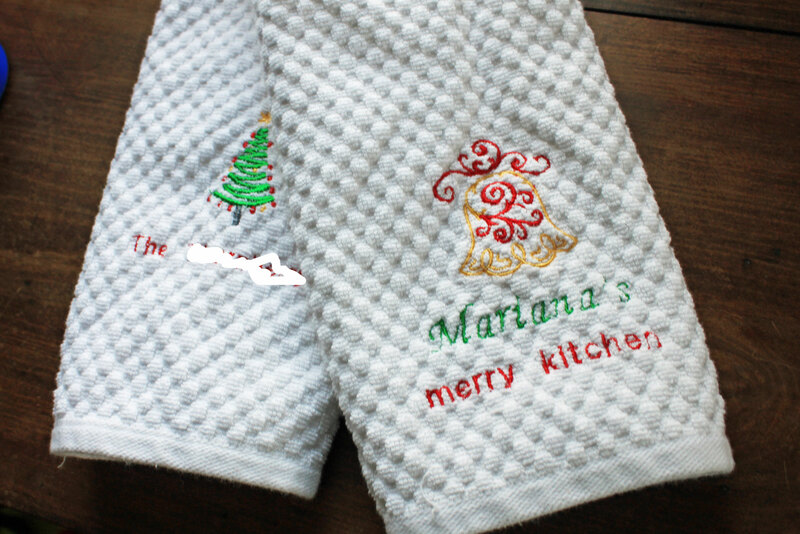 I bought a set of dishtowels to use as hostess and similar gifts this year. They seem to be a nice weight for both actually drying dishes or hands but not obscuring the embroidery. I like to actually use my towels–not just hang them up for show–and I assume my recipients do too. 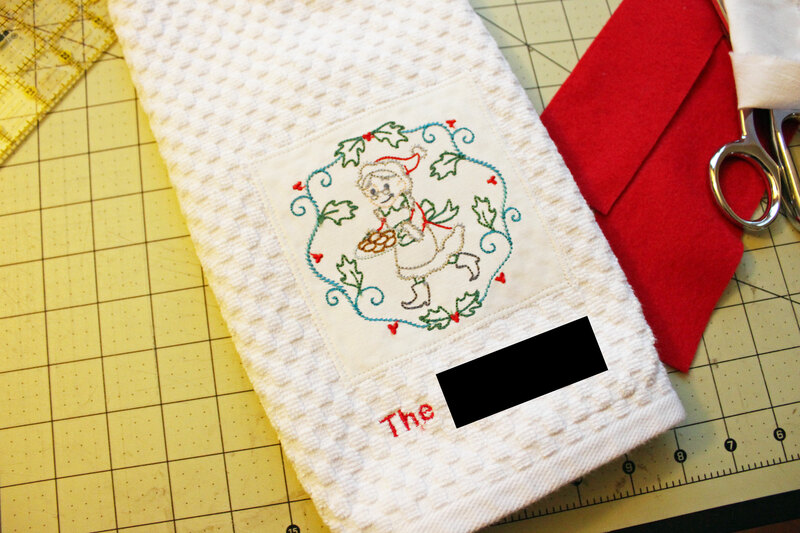 I put the embroidery design directly onto some of them, and then one I did like an applique and sewed it onto the towel. I like how both turned out. I’ve blanked out the names in some of the pictures so I don’t spoil my own surprises. The pillowcases are for the throw pillows in my living room. 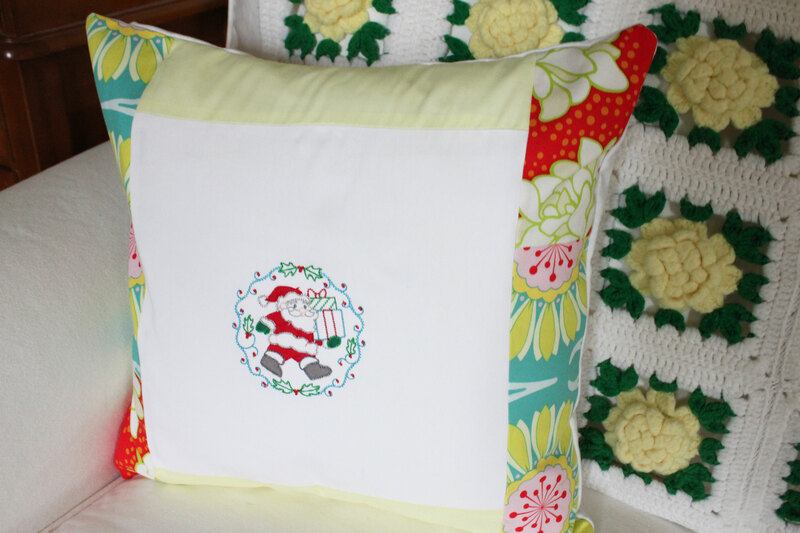 I was down to just scraps of fabric that match this room, so I made what I had left go pretty far on these. 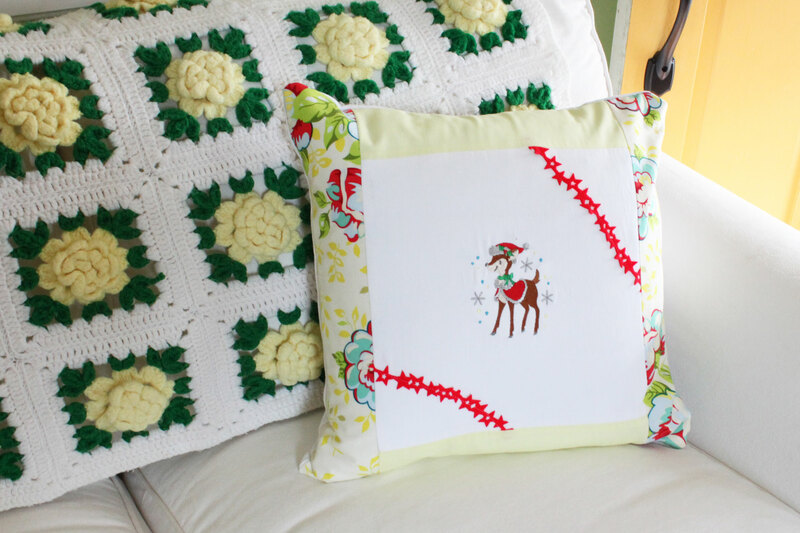 The embroidery files on the pillows and one towel include the adorable deer file which is free on Emblibrary this month, and a set of vintage-inspired designs I bought. I colored in the Santa with permanent marker to make him stand out a bit more. Don’t want Santa to fade into the background!